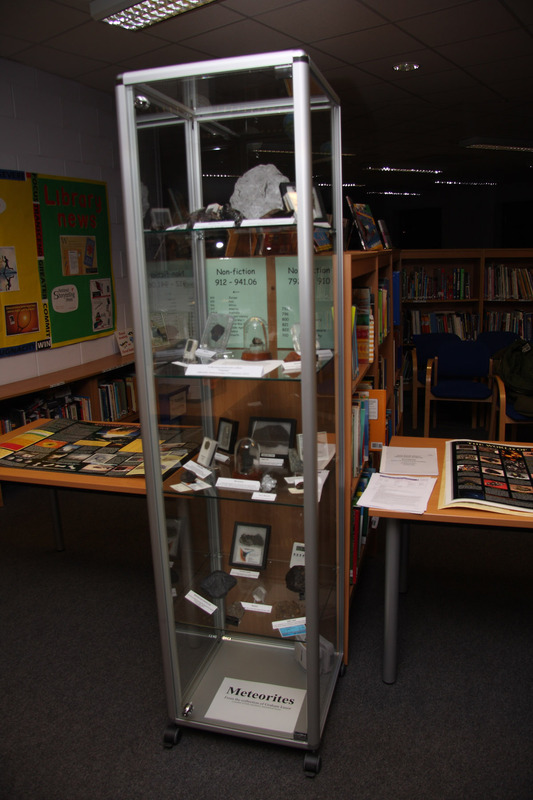 On the 16th-18th January 2012, DDAS members Graham Ensor and Chris Newsome went to Long Eaton School with the Society's display boards and part of Graham's fantastic meteorite collection. 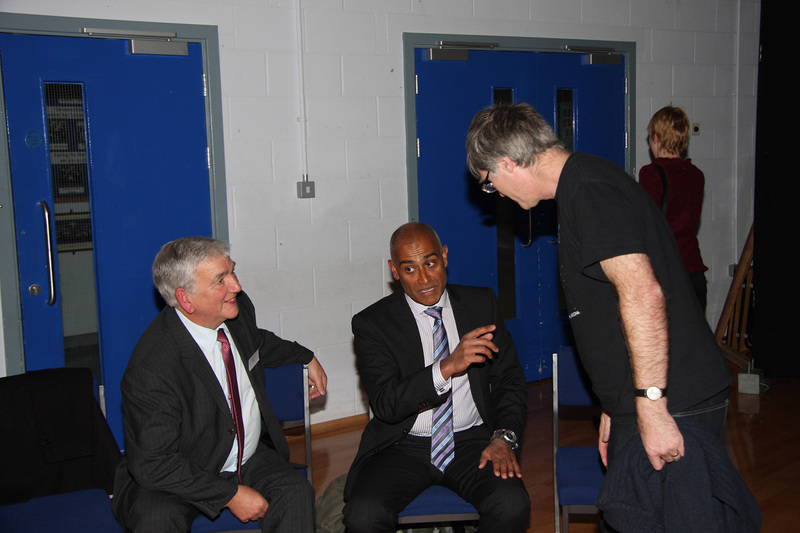 This was not only for Stargazing Live 2012, but also for the formal opening of the school's new Malcolm Parry Observatory. The observatory has been built on the roof of a new block on the building and houses a Meade 16" LX200. The main driving force behind the build and the project has been Hayley Flood. The setup that has been achieved at the school is amazing and includes a warm room, a solarscope and Watec cameras, and is aimed at inspiring not only the pupils of the school but also the wider community. On the Wednesday Graham joined a group of students and astrobiologist Dr Lewis Dartnell for lunch and even helped answer some of the audience's questions after Dr Dartnell's evening lecture, on which subject meteorites turned out to be very relevant. This emphasis on meteorites meant that nearly everyone came down after the lecture and talked meteorites in between looking through the observatory telescope. 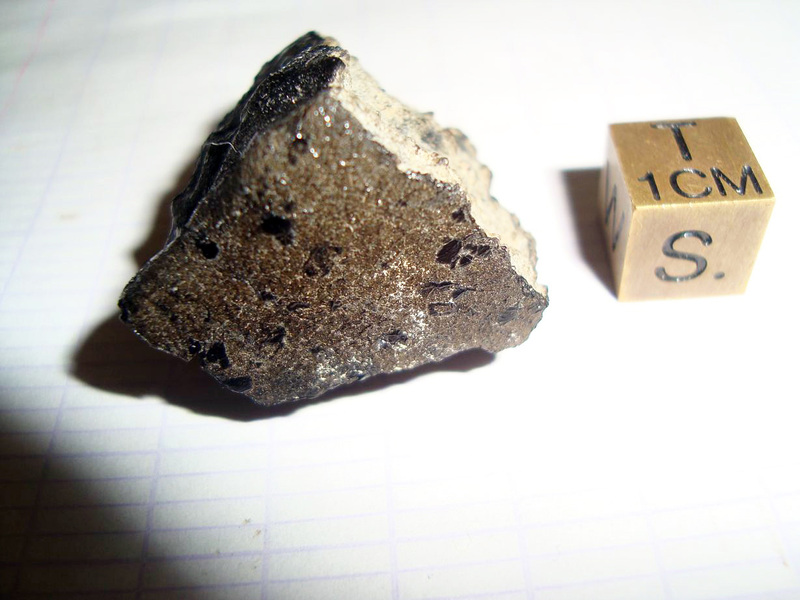 Graham also brought along a piece of a new martian meteorite called Tissint that he has acquired, which was only officially announced to the world the day before so Graham was probably the first person in the world to display it to the public. 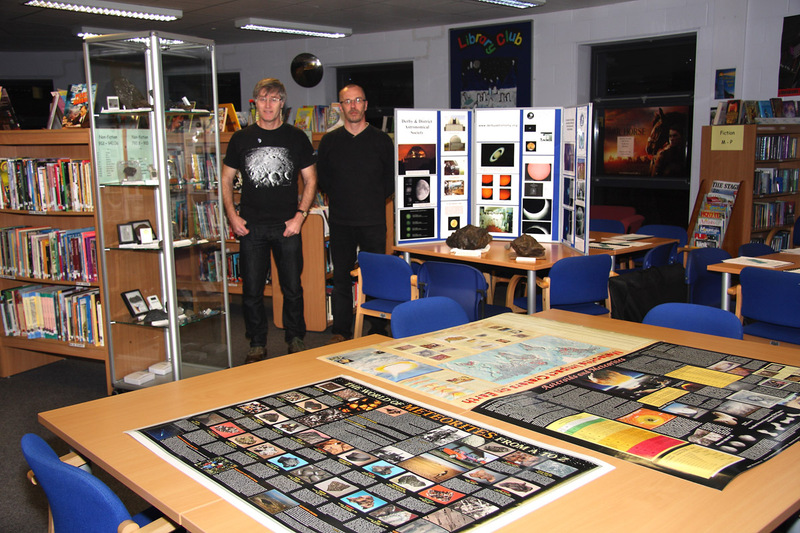 Graham Ensor and Chris Newsome in Long Eaton School library with samples from Graham's meteorite collection and the DDAS display. A close-up of Graham's meteorite display. 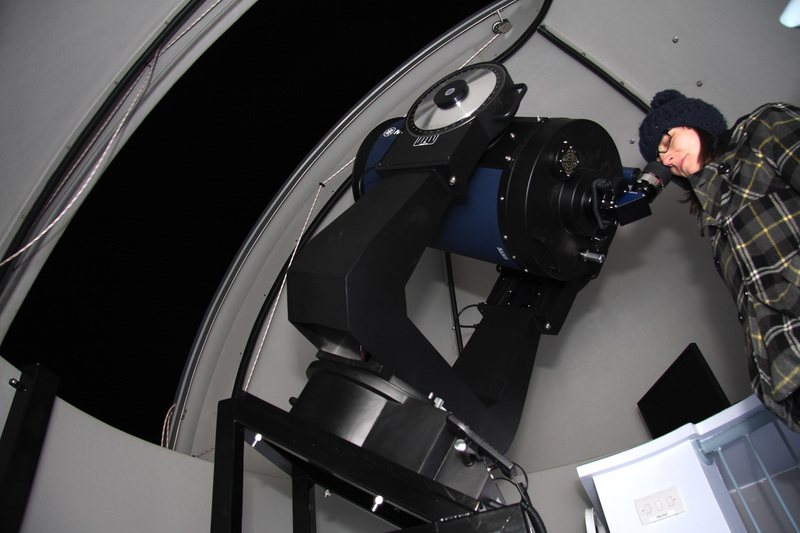 Hayley Flood at the eyepiece of the 16" Meade LX200 in the Malcolm Parry Observatory. Graham Ensor in deep discussion with Malcolm Parry and and Anu Ohja (Space Academy Director for The National Space Centre) who formally opened the observatory.